In general how long will the MR examination take? UDI offers a wide range of imaging procedures. On average, the actual MR exam usually takes about 30 minutes for each specific procedure. More specialized examinations such as, MR Abdomen, MR Arthrograms or MRA procedures may take longer than 45 minutes. In general, Open MR procedures usually take longer than high-field examinations. Do I need a prescription to have a MR examination? Yes, your physician must provide you with a prescription for the procedure in order for you to receive a MR examination. The prescription provides specific instructions regarding the procedure to be performed thus enabling our office to provide the best service possible. How do I prepare for my MR examination? What can I expect during the MR procedure? MR images are formed by the computer processing signals that are emitted by body tissue. The MR equipment is performed in a specially designed room. You will be asked to lie down on a padded table that will glide you into the scanning area. You can have earphones and music if you desire. You can breathe normally and will notice a knocking or humming sound during the imaging process. During your MR procedure you will need to be as still as possible to ensure the highest imaging quality possible. Depending on the examination being performed, you may require a contrast injection or be given additional instructions by the technologist. Will someone communicate with me during the MR procedure? The technologist performing the exam is in constant communication with you during your procedure. 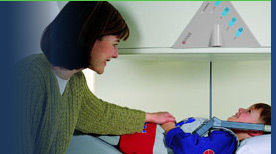 The MR equipment has an intercom system for patient and technologist communication. The technologist will communicate with you when the MR machine is not acquiring your images. The technologist will request that you please not talk during the acquisition periods of the imaging process because it can interfere with image quality. Can I have a MR examination if I am pregnant? There is no conclusive information documenting the safety of imaging pregnant women; therefore, MR examinations are not typically performed on pregnant women. If a MR is medically necessary, please consult your physician to discuss the risks versus the benefits of the procedure. Can I move during the MR examination? You will need to stay as still as possible during the procedure. MR is very sensitive to even the slightest movements; therefore, you will not be able to move during the actual acquisition of the imaging process. Additionally, you will not be able to make any adjustments to the body part being imaged after the technologist has positioned you. Before moving, ask the technologist if you can make a slight adjustment, such as adjusting your arms or legs, in order to make yourself more comfortable during the procedure. Can I bring a friend or relative with me during my MR examination? You may bring a friend or relative into the MR suite during your procedure to make you feel more comfortable. Prior to entering the MR suite, all individuals MUST be screened for entry. The friend or relative will also be asked medical screening questions to ensure their safety prior to them being able accompany you during your procedure. Each individual will also be checked for metal items such as hairpins, watches, hearing aids, credit cards etc. on their person prior to entry. Is it true the MR machine is loud? Different MR machines make different types of noises. The higher the field strength, the louder the noise. The 3.0 Tesla MRI is louder than the 1.5 Tesla, and both are louder than the open scanner. The noise, which is due to the operation of the gradients in the machine which are used to actually produce the MRI images, can range from a faint humming to a loud knocking sound. The technologist will provide you with earplugs to increase your comfort during the procedure. Some MR machines are equipped with music that you can enjoy during your procedure. Ask the technologist if this option is available. Do I need an injection for my MR examination? Certain MR procedures require a contrast injection. The contrast agent is called Gadolinium and is given when your physician or our radiologist determines it is diagnostically necessary. Contrast is used to make specific organs, blood vessels or certain type of tissue stand out or differentiate itself from other organs, vessels or tissues. The contrast is used to provide you with the most complete examination possible. What is the difference between a CT scan and a x-ray? CT is a specialized x-ray machine in which the X-ray source rotates rapidly around the patient's body as the patient is carried though a large opening in the machine. The speed of the exam is related to the number of detectors used to read out the X-rays; hence, the 64 -slice CT scanner is the fastest available today. The CT can take multiple images very rapidly during a single breathhold. A CT is more detailed than a routine x-ray and is particularly useful to demonstrate several types of tissues such as the lungs, bone, soft tissue and blood vessels with great detail. CT imaging is considered safe. The benefit of a CT scan usually outweighs the risk of radiation exposure or the injection of contrast during some CT procedures. The physicians at UDI have woreked hard to limit the amount of radiation exposure from every CT procedure to the minimum necessary for a diagnostic exam.. Please inform the technologist if you are pregnant, have a history of diabetes, asthma, kidney disorders, or allergies to iodine. Do I need a prescription for my CT examination? CT involves radiation exposure; therefore, your physician must provide you with a prescription in order for you to receive a CT examination. Additionally, the prescription provides specific instructions regarding the procedure to be performed thus enabling our office to provide the best service possible. How long does a CT scan generally take? Multi-slice CT scanners acquire images at a rapid rate. A CT examination usually takes five minutes to half an hour depending on the examination being performed. After the patient exits the machine, computer algorithms are used during post-processing to compile all of the acquired data into multi-planar CT images. There are two types of contrast used during routine CT procedures, oral and IV contrast. Oral contrast is a barium liquid you may be asked to drink in preparation to better see the stomach, small bowel and colon. Some individuals experience a sense of abdominal fullness and an increasing need to expel the liquid. The commonly used IV contrast is Iodine based. If IV contrast is necessary, you will be injected into a vein to better define and differentiate the blood vessels, organs, and abnormal tissue. The technologist will provide additional instructions regarding the IV injection. How can I prepare for my CT scan? You should wear comfortable, loose-fitting clothing for your procedure. Metal items can affect the image, so you should avoid clothing with zippers or metal buttons in the area of interest. The technologist may ask you to remove hair accessories, jewelry, eyeglasses, hearing aids and any removable dental work, depending on the body part being imaged. Additionally, you may be asked not to eat several hours prior to your exam. If contrast or a special procedure is ordered like a CT Myelogram or CT Guided Arthrogram a staff member will provide you with additional instructions. If you are pregnant please inform the technologist. What is the difference between a CT scan and a MR scan? CT imaging uses radiation and MR utilizes radiofrequencies and magnetism. Both CT and MR are useful diagnostic examinations. MR has the advantage of showing detailed anatomy such as the cartilage in your knee, discs in your spine, and detailed anatomy of your brain, while being non-invasive. CT's can provides particularly superb detailed anatomical representations of your lungs, other internal organs, sinuses, skull and, all other bones. Specialized sequences on UDI's 64-slice CT scanner can even produce coronary angiograms that are such excellent detail that they can replace coronary angiography via catheter! What are the advantages of a CT scan compared to a x-ray? The advantages of CT scans over x-rays includes the large amount of data a CT scan provides, the ability of the physician to manipulate the data into various views without additional imaging of the patient, and the ability to selectively enhance or remove structures from the images.